A little town of Palekh is located in 360 kilometers to the east from Moscow.This is about 60 kilometeres from town of Ivanovo, to which region Palekh belongs. 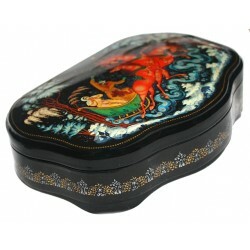 Fedoskino is the site of the country's oldest lacquer miniature industry. The old Russian village of Kholui (located in Ivanovo region) is known for it's remarkable scenic beauty. 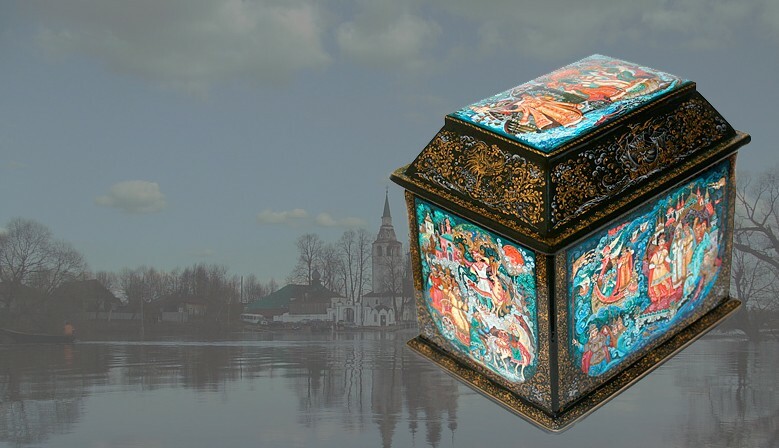 Mstera's lacquer box is vivid evidence of the remarkable viability of old Russian painting and folk decorative Art. 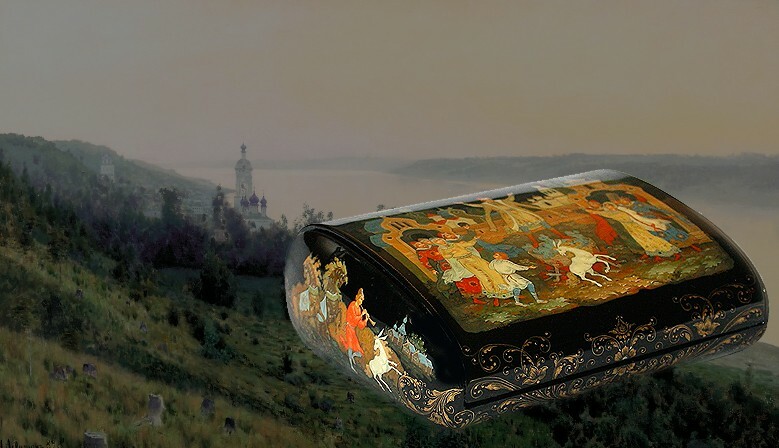 This large five-sided casket has been painted by a talented Palekh artist Natalie Brovkina. 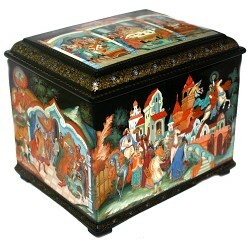 The box's lid and all its four sides show the scenes from different Russian folk fairy-tales! 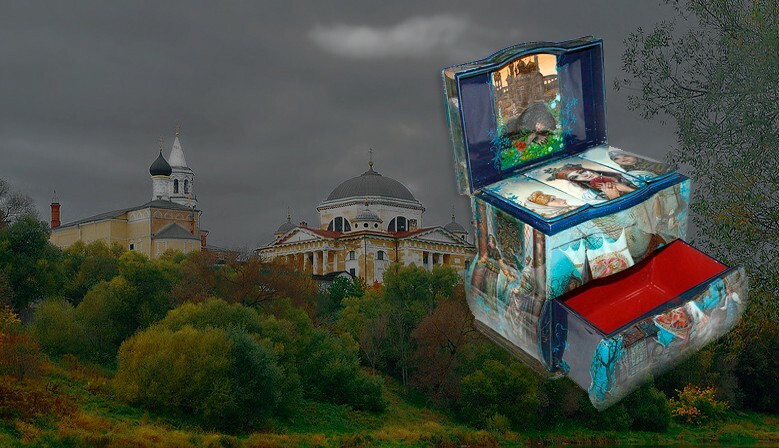 This small box was painted by the talented Palekh artist Vladimir Vlezko. Talented artist Konovalov Konstantin from the village of Palekh has painted this scene with a winter troika (three horse sleigh) speeding through the Russian countryside. 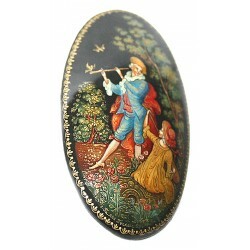 This very detailed brooch was painted by a talented Palekh artist Irina Peskova. 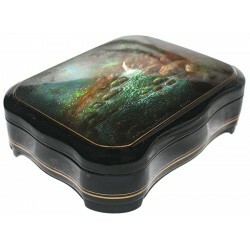 This superior Russian lacquer artistry was created by the talented Oleg Yastrebov of Fedoskino. His ability to depict strikingly decorative compositions is second to none. This very realistic landscape scene has been painted by well-known Fedsokino artist, Tatyana Tipyakova. The work is called "Little Stream", and shows a forest glade with the stream running over the stones and we almost can hear the babbling of the water! This exquisite portrait-like composition was painted by well-known Fedoskino artist Svetlana Danshina. 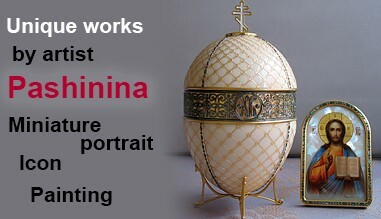 It is an excellent representation of Fedoskino realism. The artist has expertly implemented shade and tone to create this life-like portraits of two children. Very peaceful and romantic composition! Country side didn't expect the Winter so fast.Small boat is still in the river. The part of river with a slow flow is already iced, the biggest part of the river is still pushing the water down... Do you remember how silent the nature after the snow fall? 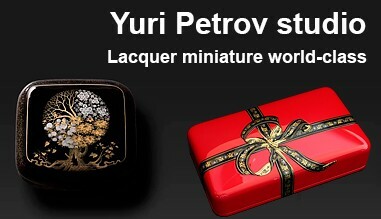 Welcome to russianlacquerart.com, where we are proud to present a unique and continually changing collection of lacquer art from the four centers of lacquered miniature painting: Fedoskino, Palekh, Kholui, and Mstera. 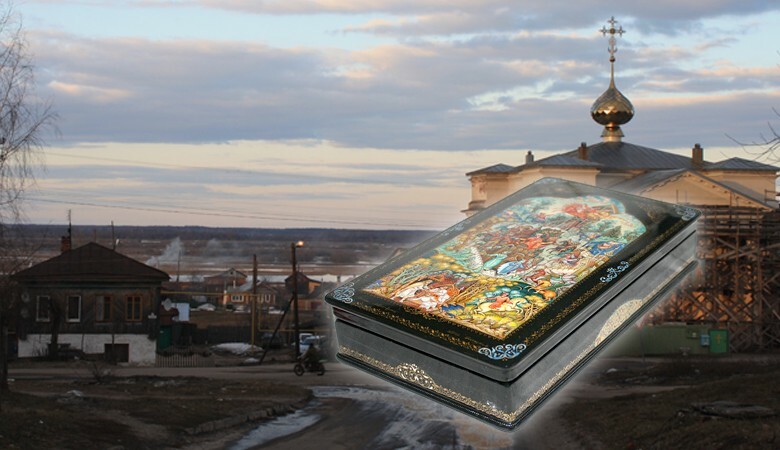 You'll also find detailed information about each of the villages, biographies of many of the artists, a history of lacquer miniature painting, and some of the fairytales and other themes of this unique part of Russian culture. 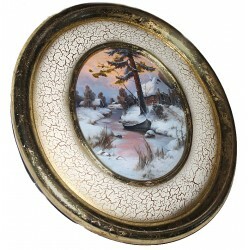 Available for purchase from our collection are exclusive artworks of today's most talented and innovative miniaturists, from boxes and chests, to plates, eggs, and more. Every month, we visit each of the four lacquer art villages to expand our artist information section and to purchase the best new works from the artists themselves so you're assured of authentic, quality pieces at the best price possible. 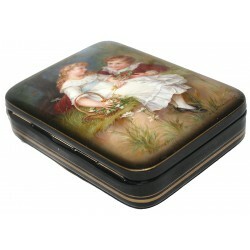 You may order items directly on our website, with delivery in approximately 7-10 days. Nearly all of the pieces we offer are unique, one-of-a-kind creations. Items that are sold are still available for viewing on our site! Email us with any questions you may have, and we'll be happy to answer them!